“We are going to Hungary to send a bold pro-European signal. With Orbán’s authoritarian, right-wing politics and constant attacks on the European Union, the current government under Victor Orbán has led his country more and more into isolation, depriving the next generation from having a better future, which we can only build in a strong and united Europe. Yet, there are also pro-European voices from politics and civic society that deserve our greatest attention. 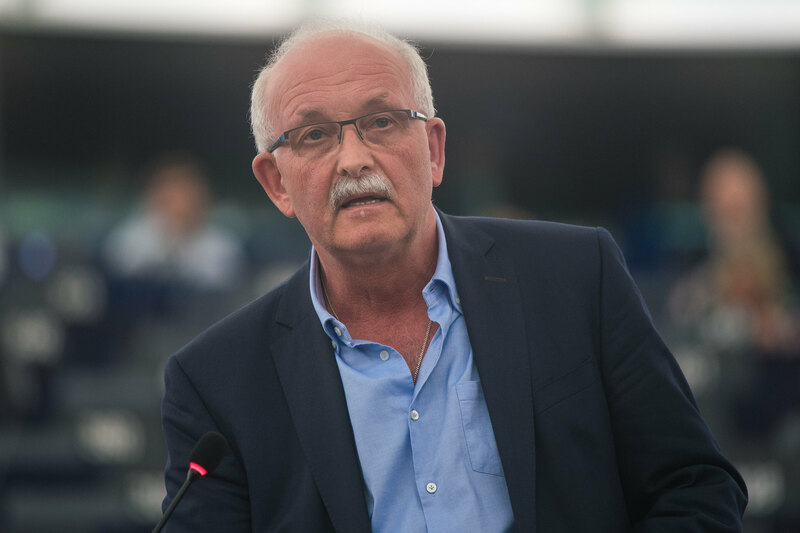 We listen to you and we are happy to come to Hungary to present to you our agenda for a socially inclusive and sustainable Europe,” said Udo Bullmann. “We want to make sure that all Europeans have equal chances to have a good life, regardless of where they live. We are fighting for a new cohesion and regional policy that will ensure that young people can find a decent job in their home region and do not have to emigrate. We must bridge the digital divide and bring new possibilities and investments to regions to develop their full potential. This is why we have launched an appeal for a renewed regional and cohesion policy,” he added. “Access to proper healthcare and education are crucial, as included in the UN Sustainable Development Goals. We European progressives are also calling for a minimum wage and a minimum pension to ensure decent living. It is not acceptable to see old people who worked all through their life struggling when they retire, nor the ‘working poor’: people working full time, sometimes even combining two jobs, and yet they cannot make ends meet. We need a more social Europe, a Europe that lives up to the solidarity enshrined in the treaties. For this, we need the participation of all member-states. Hungary, this country in the centre of Europe that once paved the way to the unification of our continent, has to play a key role in our endeavour. We invite the Hungarian people to fully participate in this new strategy!” Bullmann concluded.